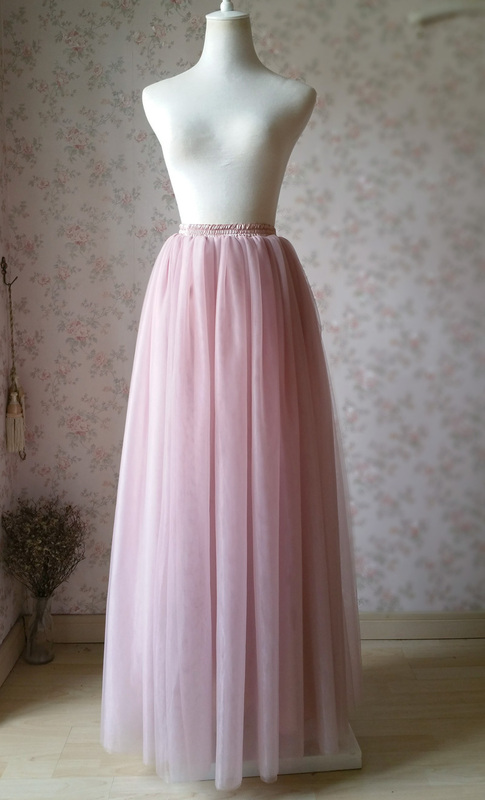 Handmade DUSTY PINK LONG TUTU SKIRTS,Plus size Tutu Skirts,Maxi Full Tulle Skirt, Dusty Pink Wedding Skirt, Dusty PInk Bridesmaid Skirt. 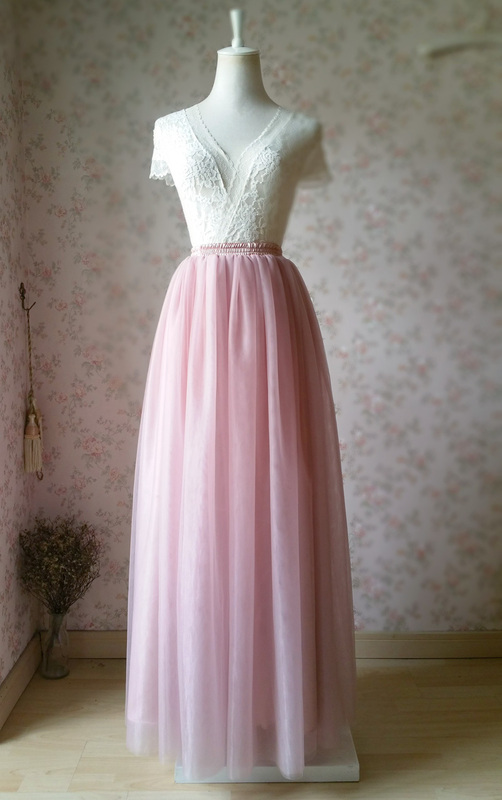 CUSTOM Available. 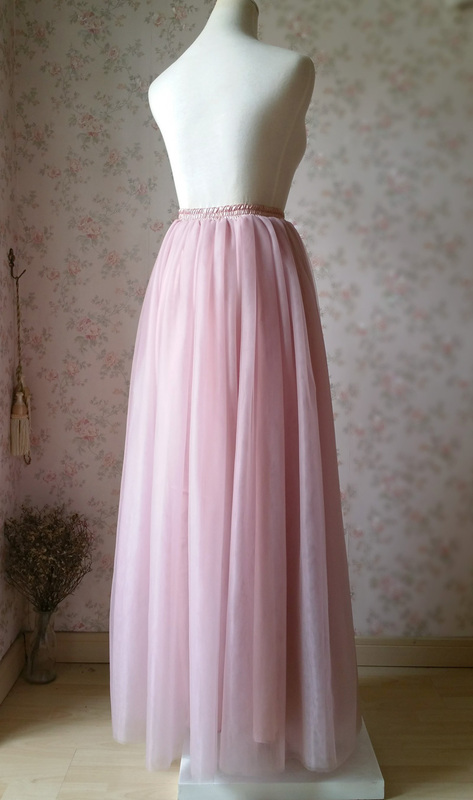 * This maxi dress is made from 3 layers top quality Tulle and one piece of imitating soft chiffon lining as inner layer, which let the skirt looks bouffant and elegant. 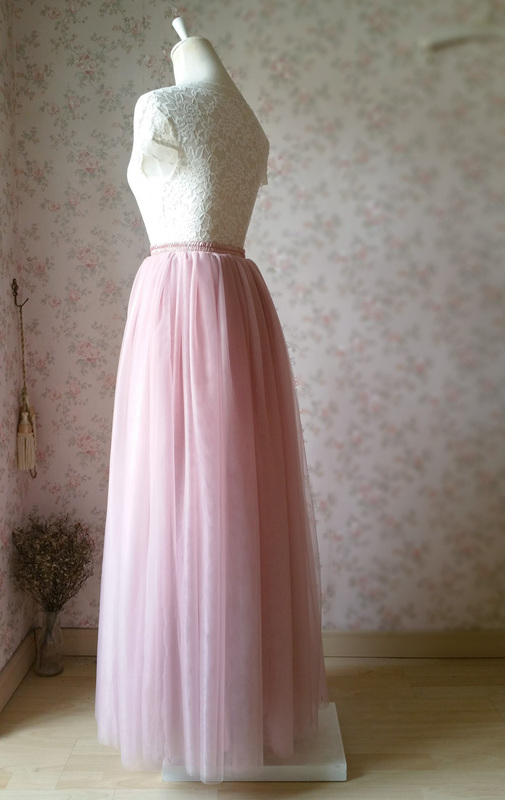 * Standard skirt length is 42 in / 107cm. Custom requests available. 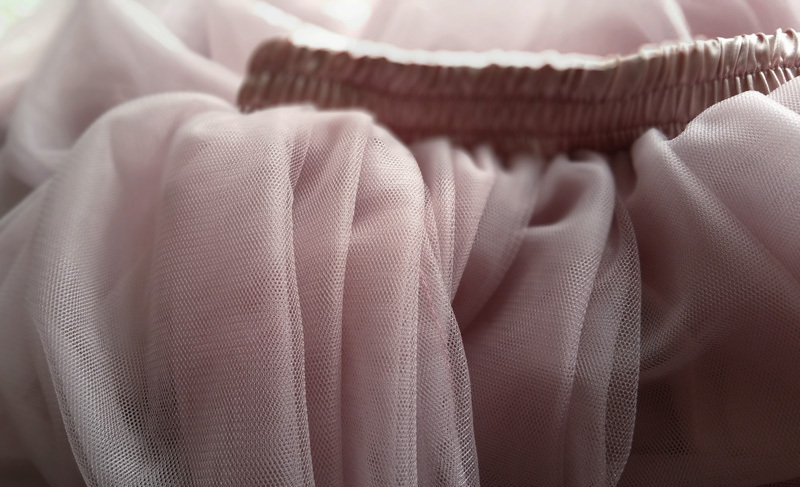 * Elastic waist fit all the figures, the waist band is very soft and easy to wear. 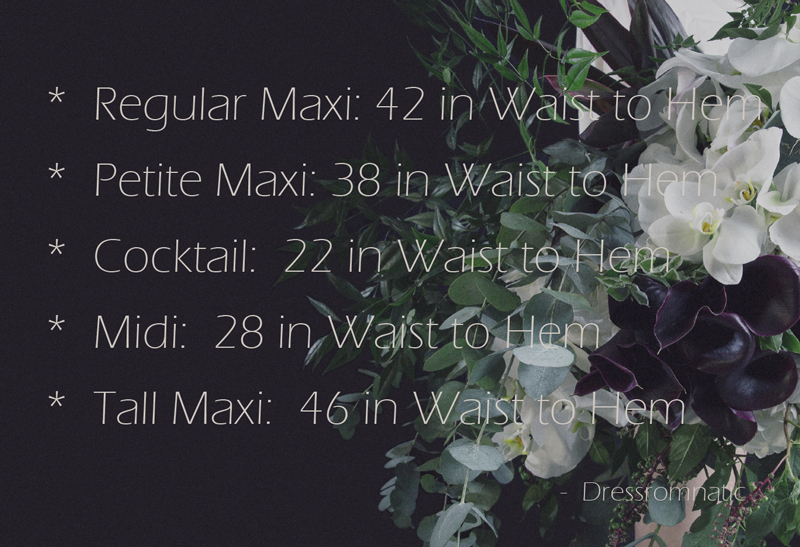 Please also tell us your usual size (or what inches for waist) while you place order. 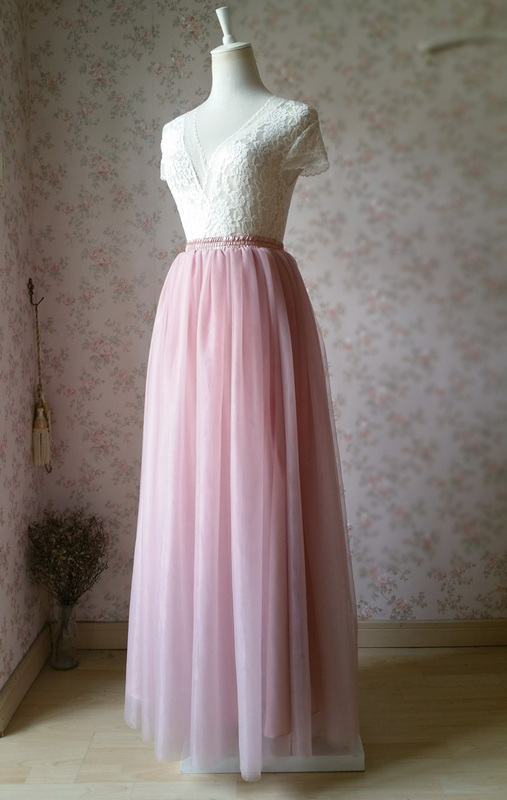 * Classic Dusty Pink Color, best choice for wedding bridesmaids' outfit. 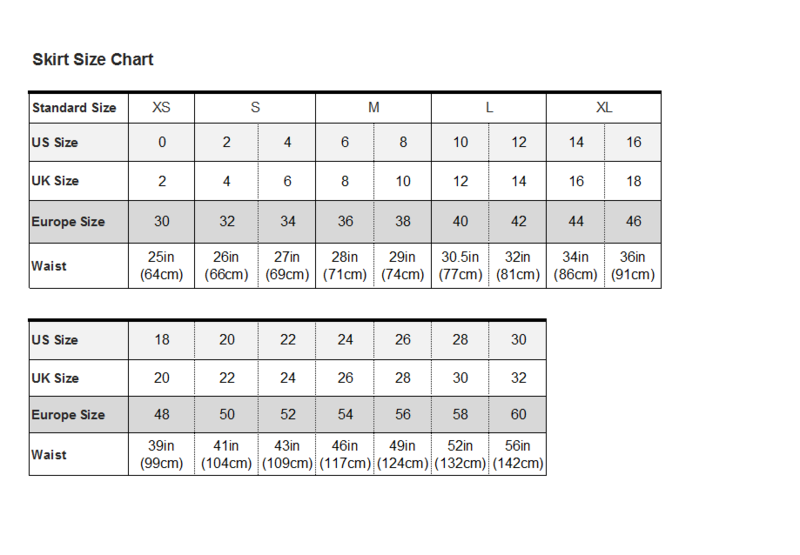 We can make it in many more colors, please find our color chart. 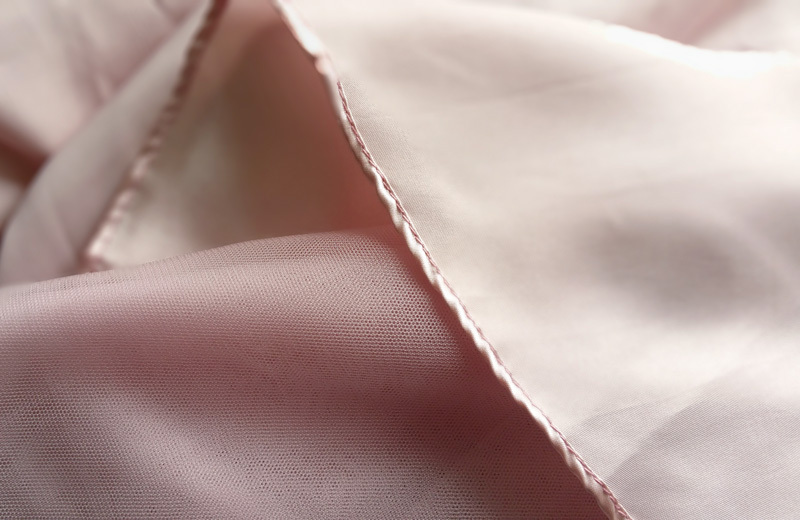 * Our processing time is around 5 days, and the standard shipping time is around 10 days. For DHL expedited, this shipping time is around 4-6 days. If you need it urgently, please let us know. We can make a rush order for you.